We still had that connections siblings do. That you are ok. That you are happy. 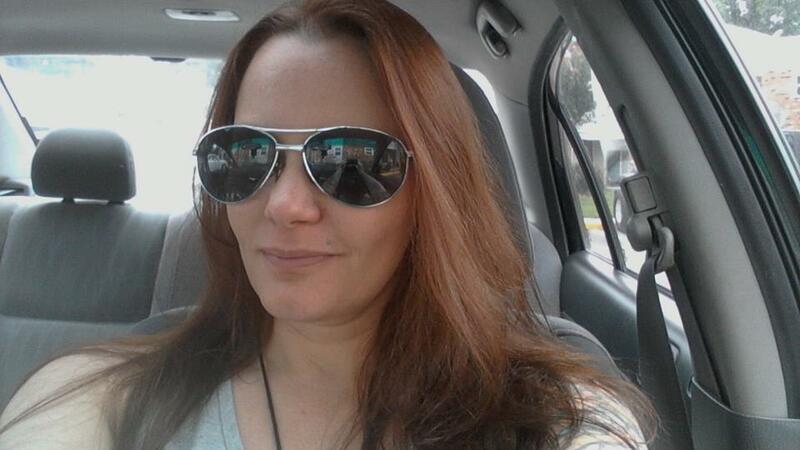 LOVE My New eSalon Customized Hair Color!! As part of my newest BzzAgent campaigns, I was invited to participate in a new campaign for eSalon. It is a completely personalized salon quality hair color system, developed specifically and customized for you! I was also awarded $60 in free hair care products to try out! How exciting is that!?! I know you are all anxious to see my before and after pictures, but first things first. … the ordering process. 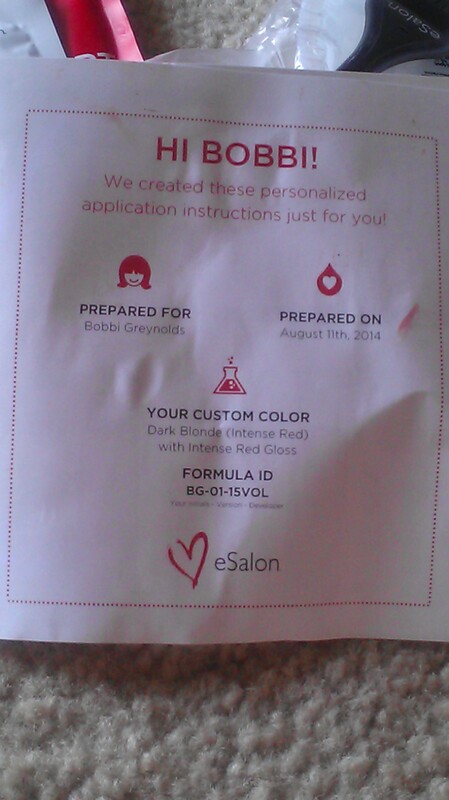 You log onto eSalon.com and created a customized profile by answering a few questions and uploading a picture of your current color. Then it was time to pick out my free hair products! I choose the color safe shampoo and conditioner, color enhancing treatment, a root touch up wand and renewing treatment oil. 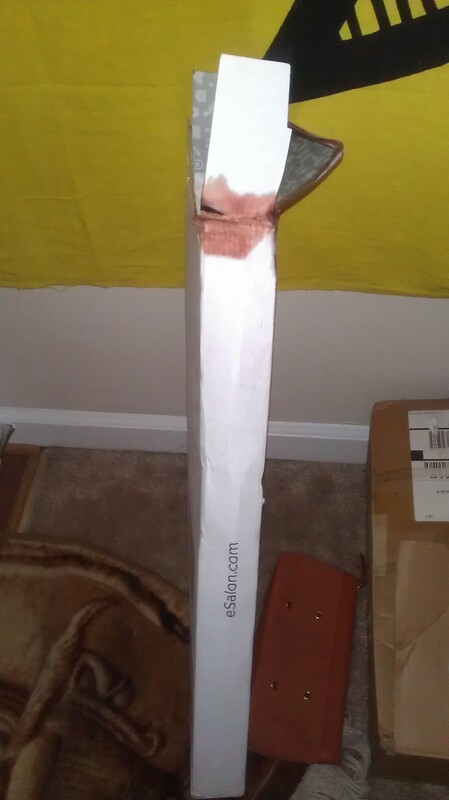 The product was supposed to be processed within three business days, and then shipped. After five business days I sent an email to eSalon to inquire on the status of my order. They informed me that there was a delay in processing and offered me free shipping on my next order. They also offered to send my items priority mail. Now that is a way to create come back customers. They completely won me over with their customer service. I was so excited to receive my package in the mail! I was a little disappointed to see that one of the color bottles had begun to leak during shipment. There was a red stain on the outside of my package and when I opened it up it was all over all the other bottles of the shipment. I had to wash off everything upon opening the package. 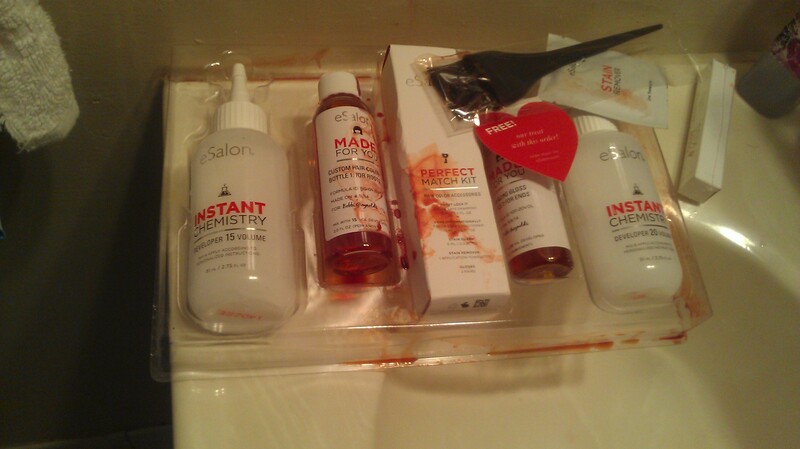 Luckily not even a quarter of the color bottle was missing due to the leak and it left plenty still for my hair color. The color process took a bit longer than my normal at home hair color but it was so much worth it! The personalized instructions were very detailed and easy to follow. 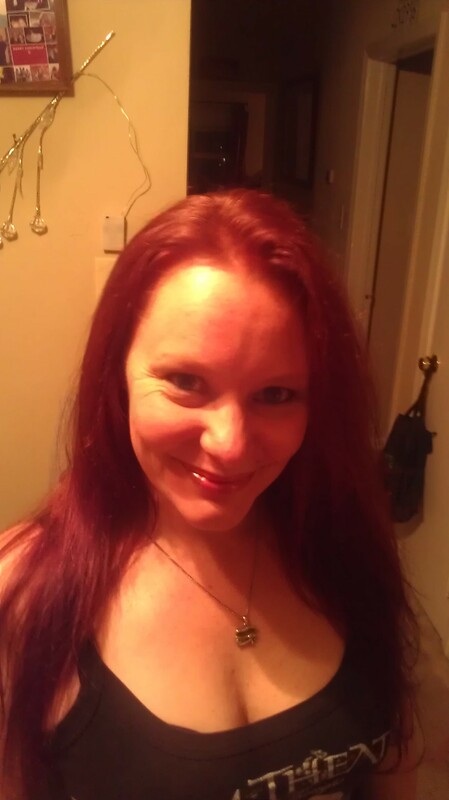 My personalized hair color was Dark Blonde – Intense Red and it is absolutely perfect, vibrant and beautiful! I have had so many compliments, from friends and strangers. I even had an employee from IHOP say I looked like Ariel from The Little Mermaid. My hair feels so manageable and soft and not over processed like a lot of hair colors do. I will definitely be a return customer! eSalon is the future of hair color! 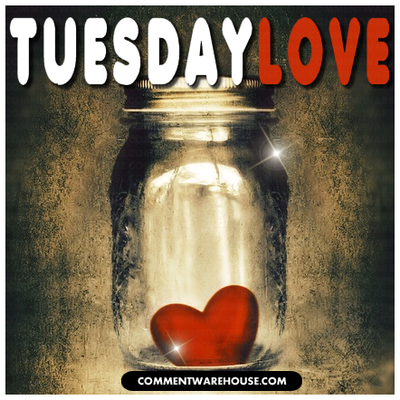 If you want to give it a try, you can get 50% off a recurring order by visiting this link and following the simple instructions to get your credit. http://u.bzz.com/sakzi!